Our in-house team of design consultants stay up-to-date on all the latest flooring trends to provide homeowners, like you, with expert help to find the right flooring for your house. From modern to classic and everything in between, we carry flooring options for every budget. Resilient, or luxury vinyl flooring, is a durable and budget conscious option for those who want hard surface floors. Resilient comes in a variety colors and styles, and it’s water resistant, making it a great option for kitchen remodels or bathroom updates. 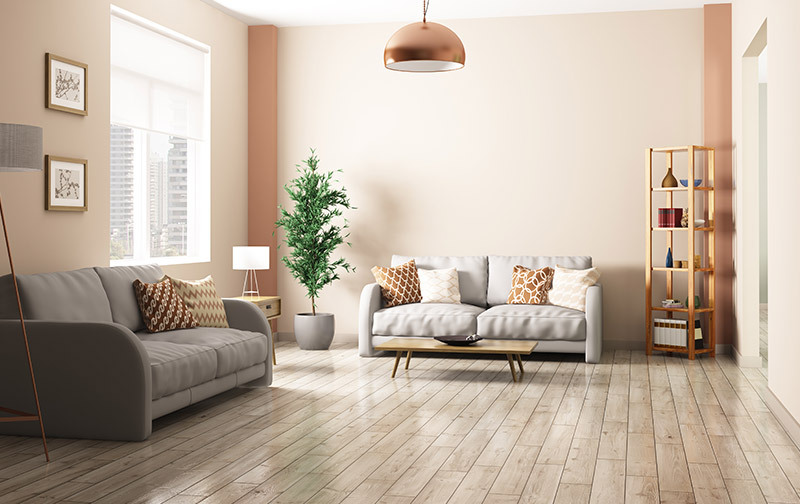 While not known to directly impact a home’s resale value, updating old flooring to durable resilient hard surface flooring will make your home more appealing to future buyers. Tile is a perennial classic flooring that homeowners love. Tile comes in endless colors, sizes and styles, making it a versatile flooring option for almost any home and aesthetic. A great flooring choice for high-traffic areas and bathrooms, tile will last for many years and stay looking great. Determine your goals and your budget before you make any updates to your home, flooring or otherwise. Predicting what flooring will add resale value to a home is not an exact science. Likewise, any home renovation project should be considered and weighed for its potential to increase resale value. If you are getting ready to put your house on the market, take your home’s current value and current market conditions into consideration. Ask your realtor for recommendations, then decide which upgrades you want to make. In short, almost all buyers love a home that has new flooring. So, even if it’s not in your budget to put hardwood floors in the whole house, replacing old and worn carpet with new carpet can be a big improvement that helps you sell your home more easily and for more money. Do you want flooring that withstands the test of time, whether you’re renovating your forever home or you’re about to put your house on the market? Here is a rundown of some of our consultants’ top recommendations on how to pick new flooring that you’ll love for a long time.